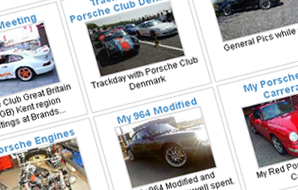 Porsche Folio is a place to find everything you need to know about all things Porsche. From the history of the cars, specifications, performance figures to finding clubs, forums, parts and spares providers, service centers and much, much more. 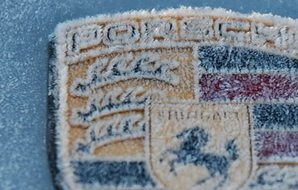 The Porsche Folio will be constantly updated to include more and more information and resources. The Folio will be categorised by country, so remember to pick your country from menu to the right before your begin your search. The Porsche Folio will cover as many countries as possible and new countries will be added. Please be patient, this may take some time. 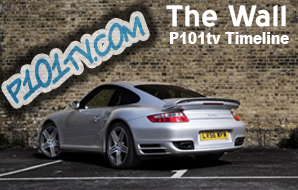 Using the Porsche Folio, like the rest of Channel P101tv, is completely free. The Folio is made up of two main sections. The "Porsche Data Folio" and "Porsche Resources". You can go straight to the "Porsche Data Folio" by selecting it from either the right or left menu's. 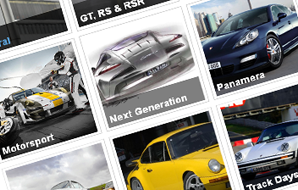 To go to the "Porsche Resources" section, just choose your country from the menu to the right. If you still can't find it, then check the A-Z listings which should help you find what your looking for. We hope you enjoy The Porsche Folio!